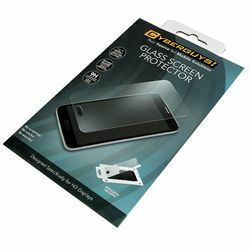 This glass screen protector is designed for a perfect fit over your phone screen. Sensitive yet durable, it is the perfect protection against life's inevitable cracks and scratches. Specifically designed for your Galaxy S6 screen, the glass features rounded edges to blend perfectly. Its such a perfect fit, you will hardly notice it's there!